Thank you so much to all who helped with the funeral of my grandmother, both with all the planning and on the day. You were all so kind, helpful and professional. You made our day go as comfortably as possible. I would like to express my sincere thanks to everyone at LeRoy's for their tremendous kindness & commitment. What an amazingly wonderful, caring team you have, taking me through my every step with much thoughtfulness. May I take this opportunity to thank you for organising the funeral of my father. Your kindness and calmness had a reassurance during the build up and your total professionalism on the day helped us all. 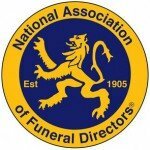 An Exeter Business of Family Funeral Directors since 1950. Following on from parents Martin and Dianne Wreford, brothers Andrew and Nick Wreford continue to look after the company. Losing a loved one is one of life’s most upsetting times and adding to this, is the stress of organising the funeral. There’s so much to be done to ensure the last goodbye is carried out to follow the family wishes. Professional service is assured by our team. We take control of all the funeral arrangements and will assist you with selecting a suitable coffin, flowers, catering, press announcements, service sheets and also offer alternative funeral services if you need a traditional burial. You can be sure that LeRoy Funeral Services are very passionate and focused on satisfying your needs and are not distracted or bound by corporate rules handed down from a head office or share-holder. When you talk to LeRoy Funerals you will find our fully dedicated team are professional, approachable, friendly and fully committed to giving you the support and help through one of life’s most difficult times. To find out more information about the services we offer please visit our Arranging The Service page or you can contact us by calling our head office on 01392 255 535 and we will be happy to answer any questions you have. A funeral plan is a secure and cost effective way to organise your funeral arrangements in advance, specify your wishes and take care of the costs. Pre-paid funeral plans allow you to pay in advance for the services of a funeral director, with the cost fixed at today’s prices. Bringing peace of mind knowing that everything’s arranged. And no worries about rising costs. Our lowest priced plan, the Base Plan offers a traditional funeral at an affordable price. Including all funeral director's fees and a simple coffin, this plan provides basic cover at a difficult time. The Standard Plan offers all of the essentials that the Base Plan covers with the added flexibility and reassurance of an additional allowance to cover third party costs of £1,100. The great choice, Select Plan, offers all of the same cover as the Standard Plan, with the added benefits of a limousine and a high quality coffin. The Premier Plan is our most comprehensive option, providing all the essentials of our other great plans with the added extra comforts of two limousines and a superior coffin.